At Sincerely, you can find stunning ex-floor stock sample gowns available to purchase straight away off the rack at discounted prices! Perfect for the bride who is short on time to find her dream designer wedding gown. Sincerely is Helen Rodrigues Bridal sample gown boutique. The gowns in Sincerely have been used in the Helen Rodrigues Bridal boutique as the floor stock samples for brides to try on and may have been used in photo shoots and/or runway shows. There are gowns from current season and in perfect condition, past seasons and discontinued gowns/designers. The gowns are priced to reflect their condition so some may have 15% off the order-in-new price and others are up to 60% off to reflect the season and/or condition of the gown (these may require some 'love and attention' and/or dry cleaning). 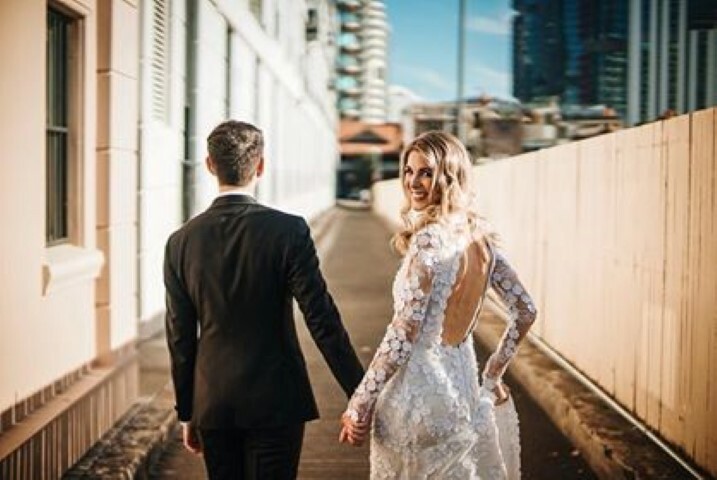 We have sample gowns available to sell off the rack from all of our designers including Inbal Dror, Alon Livne, Monique Lhuillier and Jenny Packham. A sample gown is a gown that has been used in the Helen Rodrigues Bridal boutique as the floor stock samples for brides to try on and may have been used in photo shoots and/or runway shows. As there is only ONE of each gown available to purchase, it is very important that brides fit the sample gowns relatively well as over-altering the gown can impact the gown's original design and integrity. For the brides convenience, all sizes and measurements are provided on the Sincerely website for each gown. If you are a size AU6-8 the gowns will be too big and you may end up paying quite a lot to have it tailored to fit and if you are a size AU14+, the gowns unfortunately will not fit. Gowns cannot be placed on hold and they are first come best dressed. Why a Sample Gown from Sincerely? If you have less than 6 months to go before the big day, a sample gown is a perfect idea for you as you can take the gown away with you! There are times when brides are having a short engagement, would like a second gown, have not found the perfect gown or maybe have even had a mishap with the original gown...if this is the case, Sincerely can certainly help! If you fall in love with a gown at your appointment with us, you take the gown away with you that day and we can of course recommend a wonderful local tailor who can assist with altering your gown (as well as recommended dry cleaner, if required). Sincerely is also perfect for finding the perfect gown at the perfect price. As they are sample gowns, we can discount them 15% - 60% off the order-in-new prices! Prices are always reflective of the season and condition of the gown so if you are after a 2017 Inbal Dror sample gown, this may be discounted 10-15% off and if it's a discontinued Jenny Packham gown from 2005, you could be looking at anything up to 40% off for a sample. We also offer a select few gowns between $500 - $1,000 from older season gowns. Please note, these gowns would mostly require some 'love and attention' before wearing. Please note that all prices exclude all extras such as dry cleaning and tailoring and all gowns must be paid in full. We highly recommend that brides have started the trying on process prior to coming into Sincerely so that they have a good idea of what they are after, as well as making themselves familiar with the gowns we have available to purchase off the rack. We keep the Sincerely website very up to date for our brides to be able to pre-shop before coming in. At Sincerely, as the gowns are sold off the rack on a first come best dressed basis, we would see brides no earlier than 6 - 7 months out from their wedding date, ideally when the wedding date and venue has been booked in as this plays a big part in selecting the correct gown for your special day. Have your budget decided on as, in our experience, everyone has a limit as to how much they would like to spend on their gown. We can best help you keep within this figure when you are clear on your budget. Our goal is to help you find your dream gown and work within your specifications so you can leave with perfect gown for your special day. Come in with an open mind as if you close yourself off to certain aspects, you may miss your dream gown on the rack! Your stylist will b ring you through the gowns based on the phone conversation prior to you coming in and will suggest gowns based on your requirements (style, budget, venue, time of year etc.). We recommend that you bring along no more than two guests whose opinions you truly respect and don't forget, your stylist is there too to weigh in should you decide to come solo. The appointment fee for your time at Sincerely provides you with a one hour one on one styling session with one of our brilliant stylists as well as exclusive use of our boutique. This fee is fully reimbursed into the gown should you go ahead. 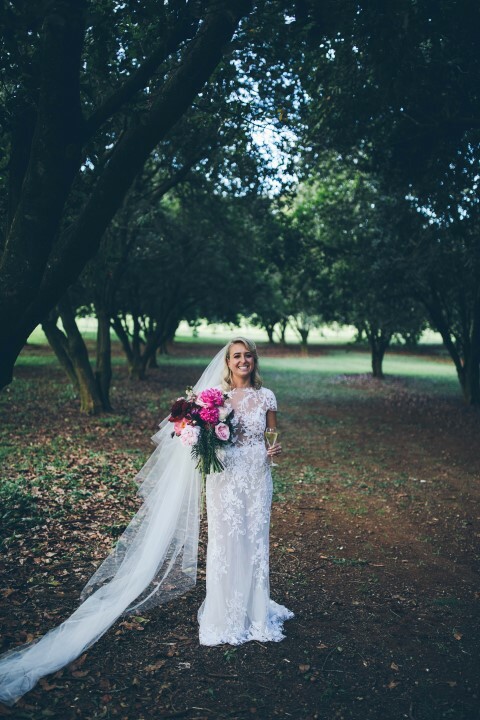 Sincerely is strictly by appointment only and is opened for each bride specifically as we operate with the same small staff as Helen Rodrigues. We do kindly ask you give ample request time for an appointment and we will endeavor to work as much as we can around your requirements and schedule. What about Tailoring & Dry Cleaning? We of course can recommend a wonderful local tailor for all of our Sincerely brides who is very familiar with working on our gowns. We cannot quote you on the day as to how much your tailoring will be and we can provide an estimate based on how well the gown fits, the gown's fabrics and condition. We also have a trusted local dry cleaner we can also recommend should you gown need to be freshened up before the wedding and/or for afterwards. If the gown has any imperfections/damage we would be confident that these can be mended by a tailor. Should you find your dream gown at Sincerely we take payment in full at the end of your appointment and you leave with your gown and any accessories (we do offer a wide range of head pieces, earrings, veils and even shoes!) all bagged up with our preferred tailor and dry cleaner's details. We accept all cards (2% surcharge on AMEX) and cash payments. We do not accept cheques. If you would like to do a bank transfer, we can provide you the details and the transfer must be done at your appointment and once this has cleared into our account, you can collect your gown from us. There are no refunds, returns or exchanges for any reason whatsoever once your sales contract has been signed and payment has been made. All sales are final and we cannot be held responsible for anything that may occur to your gown once it leaves our boutique. Your appointment fee is of course fully credited into your gown (only - not towards accessories) should you go ahead. Should you feel an appointment at Sincerely is right for you, please request an appointment via the Contact Us page on the Sincerely website and one of our team members will be in touch, during business hours Mon - Fri (excluding public holidays), to discuss and arrange. You will have the boutique to yourself with one of our trained stylists for one hour helping you with everything from the gown to veils and accessories. We look forward to hearing from you soon and helping you find your dream gown at Sincerely!